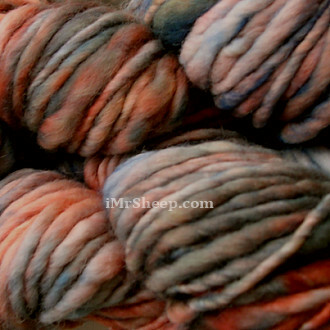 Malabrigo Aquarella is a pure, thick-and-thin, hand-dyed Merino Wool. 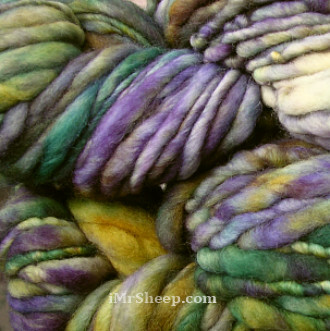 It is ultra soft, premium quality as all Malabrigo yarns, and is dyed in beautiful muted colour variations reminiscent of watercolour paintings. Aquarella is perfect for hand knitted accessories (hats, mittens, scarves) and waistcoats, cropped jackets, jacket-kimonos, and cardigans. 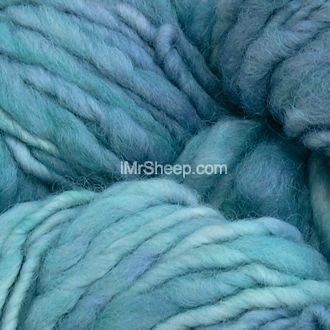 Please note: Due to the hand dyeing process, each hank within the bag is unique. There may be wide variations in tone from hank to hank. We recommend that you knit with two hanks at a time in order to balance the color. Garment Care: Hand wash in cold water with mild soap or woolwash. Dry flat. Do not sun dry, spin, or tumble dry. SLEEVED WAISTCOAT © FAIT MAIN Tricot Hiver 2010.